Heat oven to 400°F. In 12-inch skillet, cook beef and onion over medium-high heat, stirring frequently, until beef is thoroughly cooked; drain. Stir in chili powder, salt and tomatoes. Remove from heat. Beef is one of the most common stuffing ingredients, but other variations include veggies, chorizo and chicken. 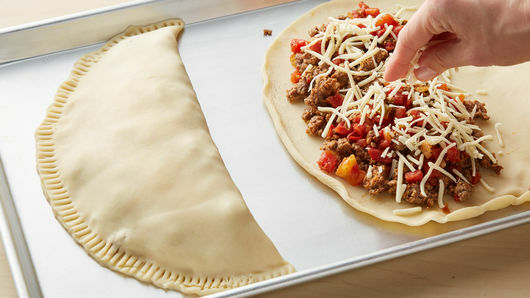 Our beef empanadas recipe combines cheesy ground beef and vegetables for a seriously satisfying meal. This recipe requires only 20 minutes of prep time and makes 6 servings. Want to add a little something extra? 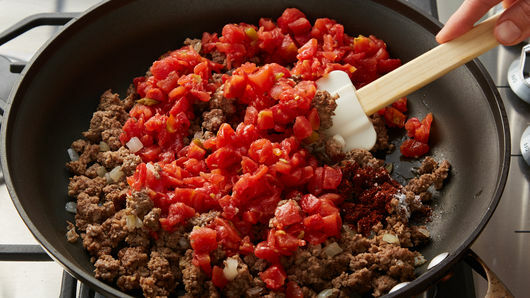 Add two tablespoons of cilantro to the empanada filling alongside the diced tomatoes for an enhanced flavor. One of the best features of empanadas is how easily they are to customize. For example, you can substitute beef for ground turkey or pork. You can even make them vegetarian! These black bean and cheese empanadas are a great option that doesn’t sacrifice protein. In fact, one cup of cooked black beans provides 15 grams of protein! Need a refresher on the best way to make empanadas? We have an easy-to-follow step-by-step guide for you. 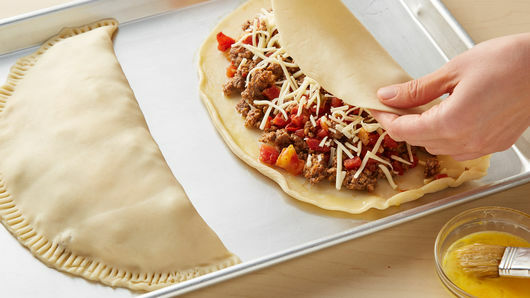 Want more ideas on how to customize your empanadas? 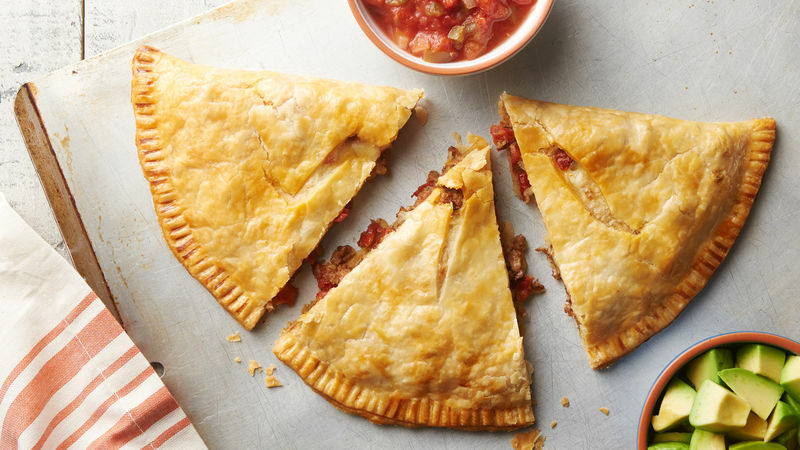 We have a bunch of yummy empanada recipes for you to choose from.